We drive results for the industry’s best brands. 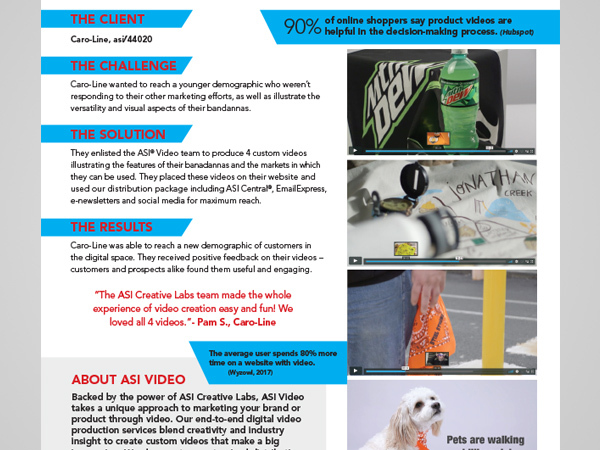 Leading suppliers trust ASI Creative Labs expert services and respected credibility to produce content that converts. 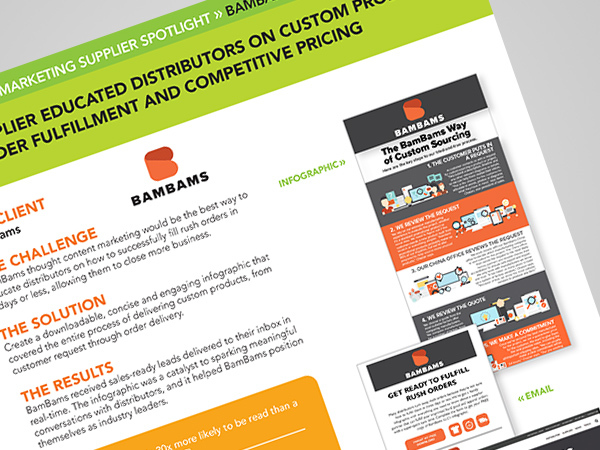 Find out how BamBams educated distributors on custom products, fast order fulfillment and competitive pricing. 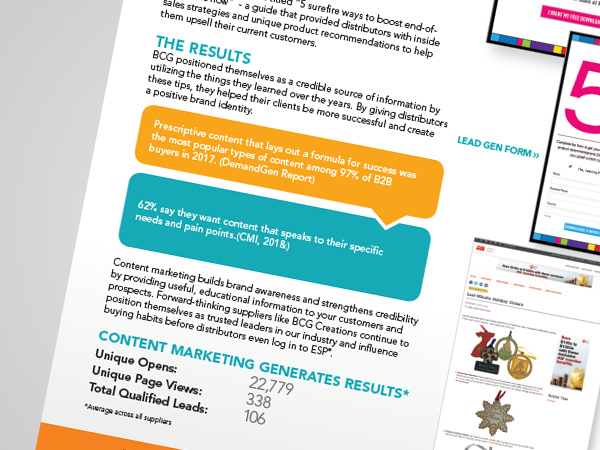 BCG Creations gave distributors inside sales strategies to help them boost their revenue. Learn more here! Discover how Caro-Line engaged and educated a younger distributor audience through video. 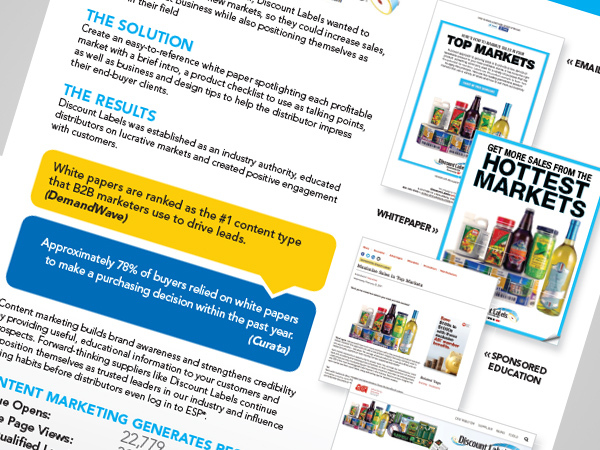 Discount Labels helped distributors explore new markets to increase their sales. Get the full story! 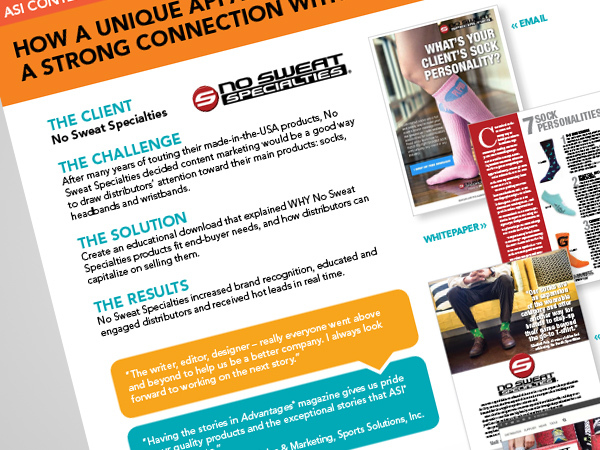 Learn how a unique apparel supplier helped distributors find the perfect made-in-the-USA apparel products for their end-buyer clients. 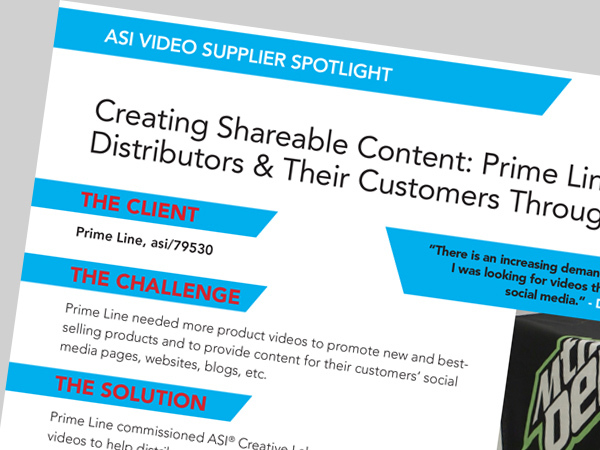 Discover how Prime Line educated distributors and their customers through the use of video.